DHC summer school 2018 from Petrol d.d. on Vimeo. The 6th edition of the International DHC+ Summer School was organised in collaboration with our two local hosts Danfoss & Petrol d.d. It took place from 26 August to 1 September 2018 and was a perfect occasion for students and professionals to be engaged in deep conversation on the future of the industry and explore what Slovenia has to offer in terms of district heating facilities. Miha Bobič (Danfoss) – DHC Economy: Show me the numbers! 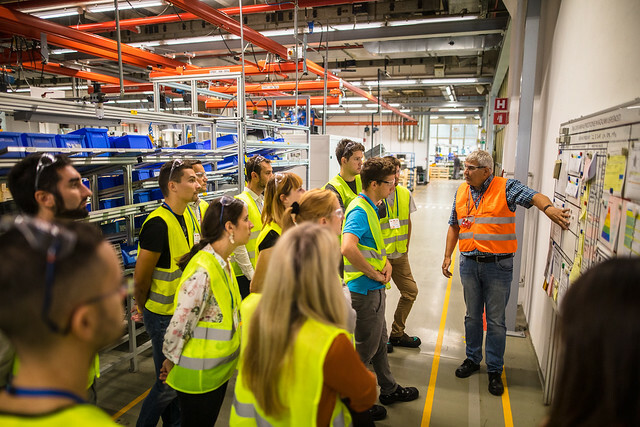 These diverse lectures were combined with guided site visits to real installations, such as the biomass plant in Kranjska Gora, the waste-to-heat plant in Celje and a cogeneration site in Ravne. In addition to the scientific programme the participants could discover a taste of Slovenia with plenty of time dedicated for the networking. NEW With the collaboration of Danfoss, this year we brought a new feature to the programme: the 24IdeaChallenge. The 24IdeaChallenge was a reality-based problem designed by Danfoss and that was presented to the participants at the end of the week. The exercise was driven by the work and assessment hand-in-hand with experts and advisors in the field. Participants had the chance to suggest innovative solutions and, if feasible, they might be implemented! The aim of this challenge is to create long-term partnerships between the participants and the industry. Congrats again to the winning team with their innovation “Quick & Dirty LTDH”: Julijo Josip Franz, Peter Krizan, Nikola Matak and Susanne Tull. With a big thank you to this year’s hosting entities! We would also like to thank the 32 participants from 14 different countries who made this edition a success again. You can have a look at our public report here to see how good the feedback from this experience was!